I have heard people tell all these and a lot more. I am sure one out of the 500 Million (Twitter Population) would have told you as well. But, what they don't tell you is how to get started. So, I thought of making it easy for all you, newcomers. Twitter is a Social Networking Platform- Simple! I wouldn't want to say it’s just like Facebook. It’s equivalent to saying you are just like Rakesh/John) It’s unique in its own way. My beginning on Twitter dates back to 23rd May, 2010. It wasn't my birthday. I just started. Off-late many have been asking me about how they can get started with Twitter. So, let's begin. 1. Type twitter.com in the address bar. 2. You will find, ‘New to Twitter, Sign up’ Dialogue Box. Enter your Full Name, Email and Password. 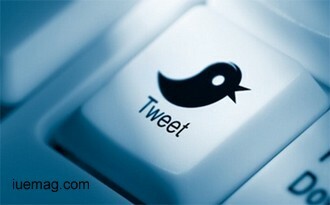 Click ‘Sign up for Twitter’. 3. A new page opens which will ask you to confirm details. Full Name, Email address, Create a Password, Choose your Username. a. Just because you want to be called by your pet-name don't fill it there. Enter your Full Name as per records which makes it easy for people to recognize you. b. Fill in your correct Email address that is active. (Not the one whose password you have forgotten) A confirmation mail will be sent to your Email account for your twitter account to be confirmed. d. Username! People will not ask what Name you entered but they will ask for your Twitter Handle/Username. Keep it simple and less complicated. The Final Step – Click on Create your Account. 6. Compose a new message and click Tweet. Bingo! There goes your first Tweet into your timeline. *** A Tweet is 140 characters long. Yes! You read it right. Just 140! Who today has time to read paragraphs? *** You don’t make friends instead you ‘follow’ to get their tweets. *** Hashtag (#) represents trends. When you type #xyz in the search column you will find everyone who have posted about the same. It’s like a subject. Any facts, figures or references stated here are made by the author & don't reflect the endorsement of iU at all times unless otherwise drafted by official staff at iU. This article was first published here on 16th February 2015.